Recently Qatar was effectively placed under a blockade by its surrounding Gulf neighbours over charges of terrorism and trying to topple regimes. Realizing its geographically precarious position in the middle, surrounded by other countries, Qatar has made a new announcement. Visa free entry to the nationals of 80 countries! Yes, Including India too! What does this visa free entry mean for Indians? 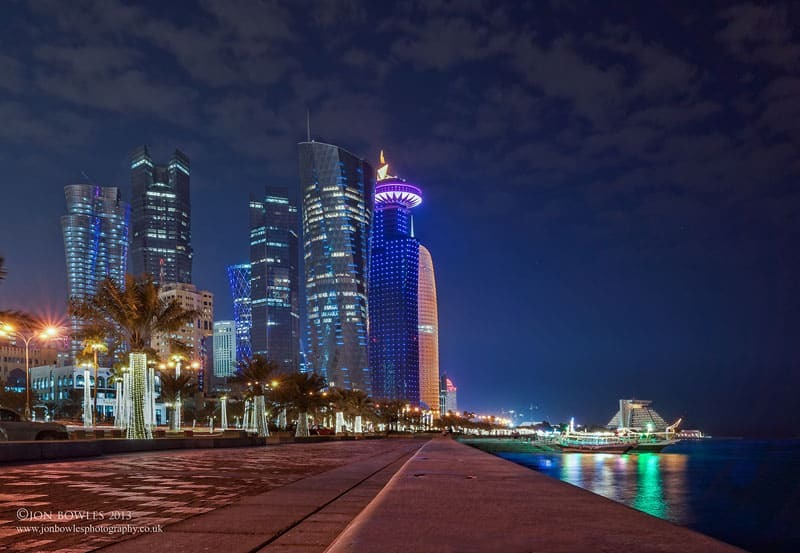 Qatar Visa Requirements for Indians – New Rules! Indians can enter and stay in Qatar Visa free for 30 days according to the new rules. This 30 day period could be further extended to another 30 days upon applying for an extension. The news has come as big relief for Indians working in Qatar as their family can now come and visit them without many hassles. If you have your Indian passport, then you can simply book a flight ticket to Qatar and go. Also, travellers can make use of this opportunity to explore Qatar! These are the top experiences you shouldn’t miss out according to TripAdvisor. 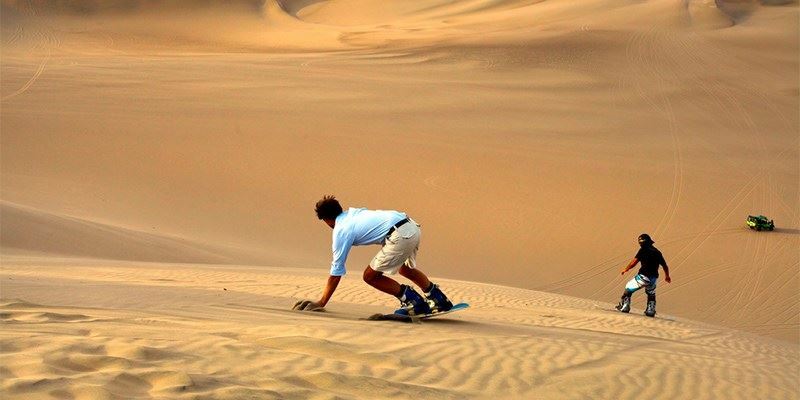 Sandboarding is literally strapping yourself to a board and sliding down a sand hill. 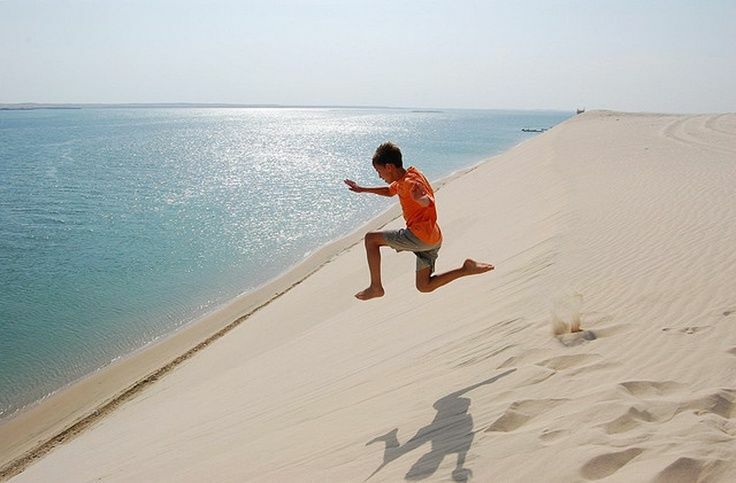 In Qatar, the desert has sand dunes which are hundreds of meters high! Sliding down from the top of such dunes would be quite a blast. It’s incredible fun to go sliding down at high speeds maneuvering the board in the sands. Experience the joy of surfing without the fear of drowning in water! Go for a desert safari in Qatar and experience an exhilarating drive over sand dunes in a 4×4. 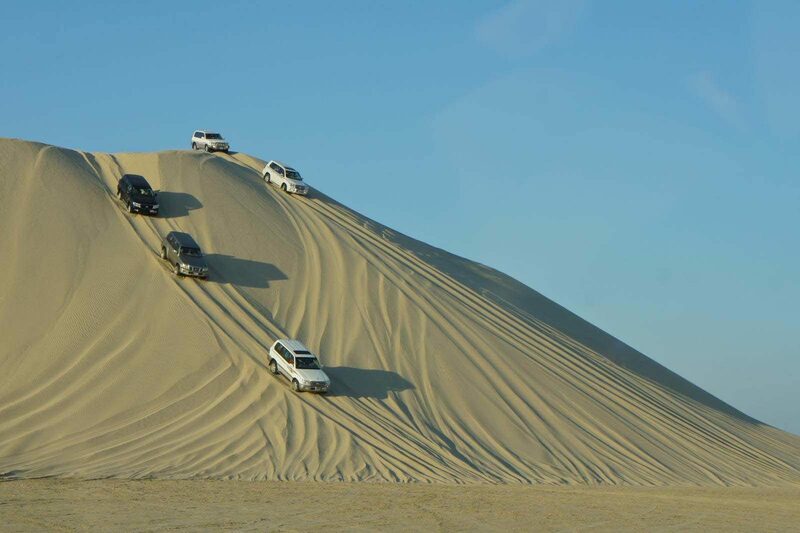 Dune bashing is easily one of the most adrenaline pumping action you can get in Qatar. The drivers are professionals who can seriously drive. Hold onto your seat belts as they attack impossible mountains of steep sand and sheer drops. The Corniche is a long sweeping Promenade around the bay in Doha. It is primarily used by joggers and strollers in the evening. Enjoy a pleasant walk along the bay with a view of the tower blocks to one side and the ocean to the other. You can take a Dhow cruise and view the city lights from the waters of the bay. Also, The Souq Waqif, another must see attraction in Qatar is close to the Corniche. Souq in Arabic refers to a marketplace. 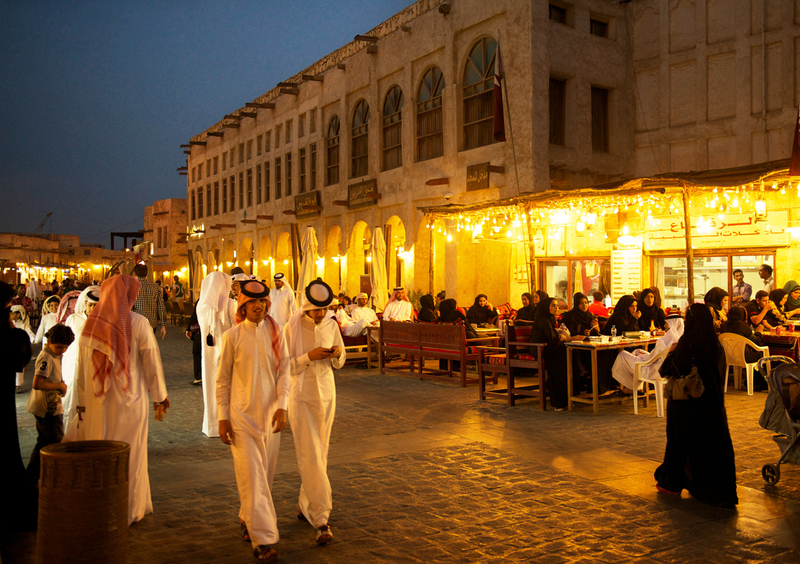 The Souq Waqif in Doha is one of the few last places offering a window into the authentic Qatari life of olden times. It is a centuries old market and was a gathering place for Bedouins and local Qataris exchanging goods. The Souq is well worth the visit. Go in the evening, when all shops in the Souq are open and abuzz with activity. There is a pet market, Falcon market, authentic Arabic food and sheesha places. The Souq offers an overwhelming sensory input in the form of lights, colours and spicy smells! Khor Al Udeid is an inland sea bordering Qatar and Saudi Arabia. In fact, Saudi Arabia can be practically seen across the sea from the beach shores. It is one of the most popular attractions in Qatar as it offers the opportunity to go dune bashing and then swimming in the shallow waters. It is a stunning treat to the eyes, to see the desert land meeting the sea and is a must see when going to Qatar. If Qatar hasn’t been in your travel itinerary till now, then is perhaps the best time to add it. The Ministry of Interior, Qatar Tourism Authority, and Qatar Airways announced the visa-free entry to citizens of 80 countries on August 9. 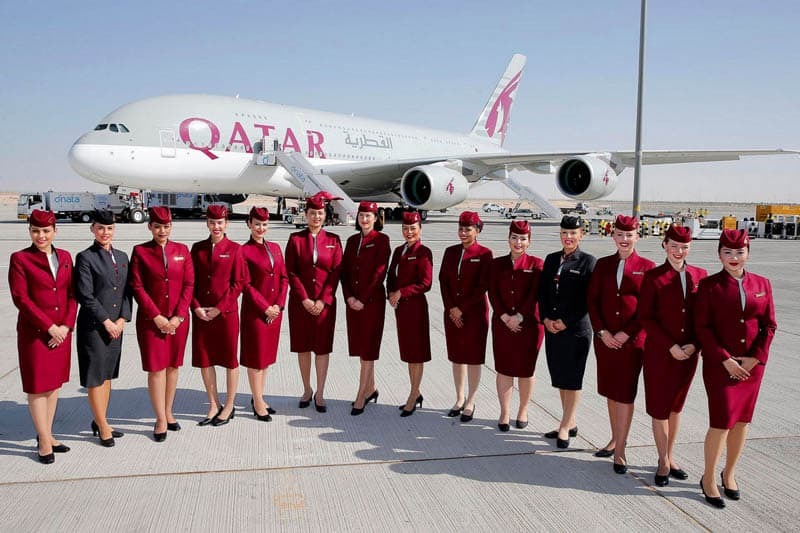 This is seen as a move to encourage the air transport and tourism to Qatar amidst the blockade placed on it by neighbouring Gulf countries. So travellers make use of this chance while it lasts to explore Qatar, the jewel of the middle east! Liked our article? Share the new rules with your friends by clicking the share button below!